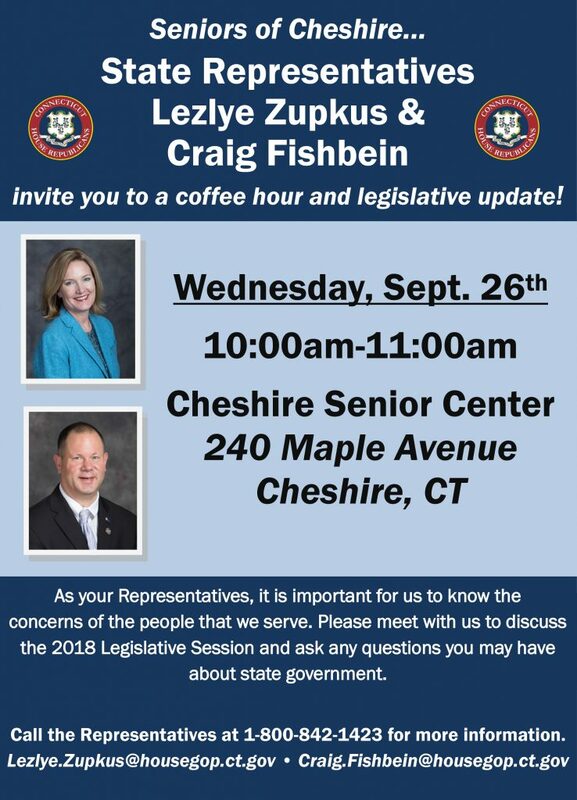 State Representatives Craig Fishbein (R-90) and Lezlye Zupkus (R-89) will co-host a coffee hour and legislative update for constituents on Wednesday, September 26, 2018 from 10:00 – 11:00 a.m. Residents and constituents are welcome to stop in and learn about the recently ended, regular 2018 legislative session, and to ask questions or discuss policies and legislation regarding the upcoming 2019 legislative session. Time: 10:00 p.m. -11:00 p.m.